Fructose is the major carbohydrate present in fruit, and although some dietary fructose is derived from fruit, much fructose consumed in the diet is derived from sucrose and from foods containing added sucrose. It is a monosaccharide (commonly known as ‘sugar’), or single sugar, that has the same chemical formula as glucose but a different molecular structure. Sometimes called fruit sugar, fructose is found in fruit, some vegetables, honey, and other plants. Fructose and other sugars are carbohydrates, an important source of energy for the body. It is one of the three dietary monosaccharides, along with glucose and galactose that are absorbed directly into the bloodstream during digestion. 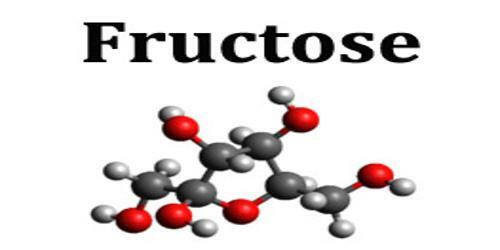 Fructose was discovered by French chemist Augustin-Pierre Dubrunfaut in 1847. The name “fructose” was coined in 1857 by the English chemist William Miller. Pure, dry fructose is a very sweet, white, odorless, crystalline solid and is the most water-soluble of all the sugars. Fructose is found in honey, tree and vine fruits, flowers, berries, and most root vegetables. Fructose has a unique texture, sweetness, rate of digestion, and degree of absorption that is different from glucose, which is the sugar that most of our ingested dietary carbohydrates become when they hit the bloodstream. 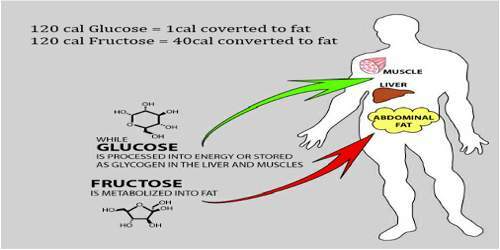 Consuming glucose with fructose at the same time accelerates the absorption of fructose. This is one of the reasons that many sports drinks contain a mixture of sugars. Fructose-1P, also known as D-(-)-Fructose or D-(-)-Levulose, is classified as a member of the Monosaccharides. Monosaccharides are compounds containing one carbohydrate unit not glycosidically linked to another such unit, and no set of two or more glycosidically linked carbohydrate units. Monosaccharides have the general formula CnH2nOn. Fructose-1P is considered to be soluble (in water) and acidic. 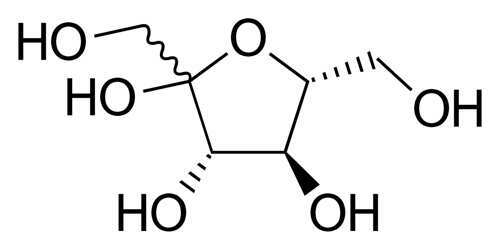 A monosaccharide in sweet fruits and honey that is soluble in water, alcohol, or ether. It is used as a preservative and an intravenous infusion in parenteral feeding. Fructose, or levulose, is a levorotatory monosaccharide and an isomer of glucose (C6H12O6). The chemical composition of fructose is (C6H12O6). Pure fructose has a sweet taste similar to cane sugar, but with a “fruity” aroma. 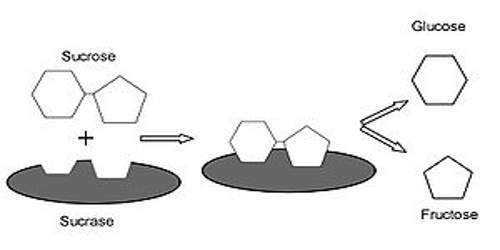 Although fructose is a hexose (6 carbon sugar), it generally exists as a 5-member hemiketal ring (a furanose). This structure is responsible for the long metabolic pathway and high reactivity compared to glucose. Fructose was only provided as part of a whole food. Whole fruits, vegetables, grains, nuts/seeds and proteins have limited amounts of fructose and allowed for a moderate intake. As the food industry refined fructose from sources such as corn, and added it to a variety of processed foods, our fructose consumption increased. A survey from the 1990s showed that the average person had a daily added sugar intake of ~80 grams (equivalent to ~320 calories or 15% of energy intake); about half of this was fructose. Sweet Poison recognises that fructose derived naturally from whole fruit has a different metabolic effect on the body when compared with fructose added to the diet, largely due to the presence of dietary fibre. Gillespie therefore recommends consuming two serves of fruit daily, as outlined by the Australian Dietary Guidelines. Because the fructose in fruit juice is not accompanied by dietary fibre, Sweet Poison suggests that drinking fruit juice results in the same deleterious health outcomes as does consuming added fructose.